Every morning, I like to begin my day by brewing some coffee and jotting down my to-do list. Whether or not I actually accomplish everything on my list is sort of beside the point. I do it mainly just to get all my thoughts + assignments out of my brain and simply put a nice pen to well-designed paper. I mean, is that too much to ask for? 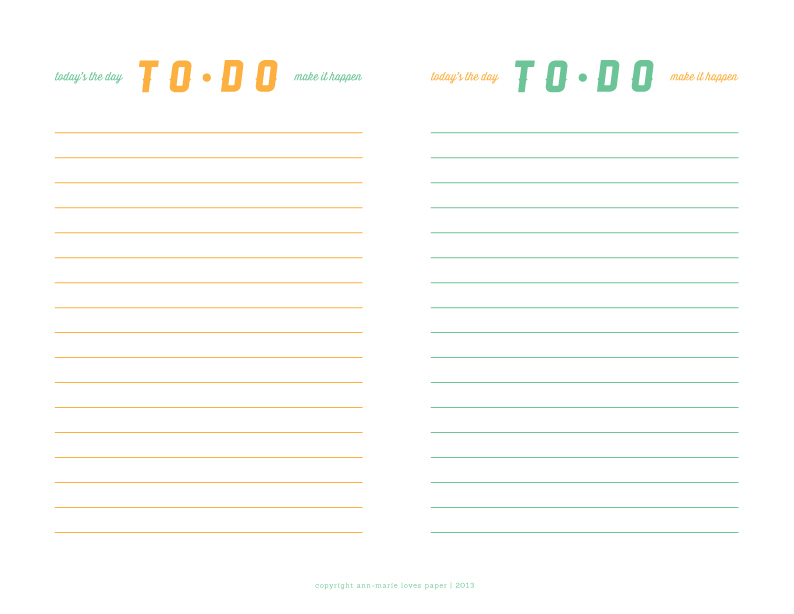 So of course, it was only a matter of time before I made my own to-do list form! I like to print these on the back of scratch paper or anything that I have lying around – no need to bust out the fancy cardstock! You can download these lists HERE. Enjoy! P.S. If you’re looking for an inexpensive pen with great flow + the ability to erase (mind-blowing, I tell you! ), I highly recommend stocking up on the Pilot FriXion! Shoot wasn’t tax day April 15th? I like looking at peoples to do list. What did you do for your workout? I am excited for your save the dates! 1. Self-employment = quarterly taxes. BLAH. Quarterly taxes, o heck! Can you recruit Jaymee for that job? Where do you take Zumba? Not at Oakridge I assume, that Zumba class is not one to obsess over. I go to Gold’s because their teachers tend to be younger and have better music choices (don’t shoot me!). That’s a good question! I’ll probably just flip it over and make a grocery list or something on the backside. I like your PL idea! I love to-do lists, thanks for sharing!! And I second the bit about you having a font for your handwriting!!!!!!!! Ha. Just downloaded it. Thanks! I just printed off some of the to-do lists. Thank you! I always make my own lists which are not pretty like yours, so I’m excited to look at something beautiful as I check things off my list. these are really cute. thanks for sharing! what font is “today’s the day”? 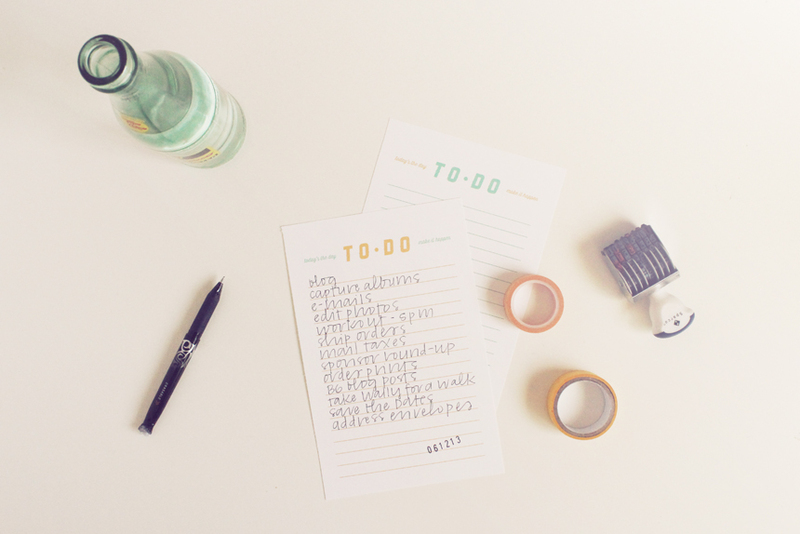 love this to- do list! i’m such a lover of lists and checking off. need to print these out asap. I covet ur lil number stamp.